I have read somewhere that after the 1000 year reign of Moshiach, there will be a destruction of this Olam Hazeh (pls. help me out, there's a word for it starting with a chet), before we go to Olam Habah. Does this destruction mean the annihilation of the material world (b/c we will no longer have need for physical bodies in the world to come)? There is an argument between the Ramban and the Rambam over what is the ultimate reward. After one passes away, they goes to Gan Eden (a world of spiritual delight). One goes back to Olam Habah (a world of souls). One proof supporting the Ramban's opinion that resurrection is higher then Gan Eden is from the fact that all Tzaddikim (righteous people) like Moses will be resurrected (and will not just stay in Gan Eden). All this, however, will all take place in the sixth millenium. Regarding the seventh millenium, the Gemara says (Sanhedrin 97a) that "Six thousand years the world will exist and for one it will be destroyed". There is an argument as to what does this "destruction" refer. The Raavad says that the world will revert back to the nothingness that existed before the world was created. Others (such as the Maggid Meisharim) say that there will "be a destruction of worldly desires". In this world will be the ultimate reward for our current service of Hashem, and in it will be the completeness of our current service. In other words, in that time all our current service (to bring G-dliness into this world) will be revealed in a physical way, so that there will be (in a way) a destruction of the world - in Hebrew, "world" comes from the same root as concealment. In this time period, there will be no more concealment of Hashem. R. Kattina said: Six thousand years shall the world exist, and one [thousand, the seventh], it shall be desolate, as it is written, And the Lord alone shall be exalted in that day. It has been taught in accordance with R. Kattina: Just as the seventh year is one year of release in seven, so is the world: one thousand years out of seven shall be fallow, as it is written, And the Lord alone shall be exalted in that day,' and it is further said, A Psalm and song for the Sabbath day, meaning the day that is altogether Sabbath — and it is also said, For a thousand years in thy sight are but as yesterday when it is past. In Torah Ohr 51D, the Baal HaTanya quotes the Sefer HaTemunah (not sure who that is), saying that the world exists in a series of 7000 year cycles (analogous to the Shmita cycle) [This is based on the Talmud quoted above], and we are presently in the second cycle. The world exists for 7000 years, is destroyed, and the next cycle starts. The first cycle was a cycle of Kindness (the first of the 7 Kabbalistic emotional attributes), while the cycle we are in now is the cycle of Severity (the 2nd of the 7 Kabbalistic emotional attributes). Other Kabbalists who followed the Sefer HaTemunah explain this to mean that we will have a total of seven 7000 year cycles, one for each of the 7 emotional attributes. See here for an explanation of the worlds of Tohu and Tikkun. Indeed, the Kabbalists speak of 50,000 Jubilee cycles through which the world will proceed in its process of elevation. 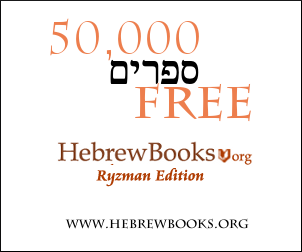 In Shaarei Teshuvah, p. 70b, the Mitteler Rebbe discusses the elevation of the soul in each of the 50,000 Jubilees of which the Sages speak. Will there be murder after the coming of Moshiach?